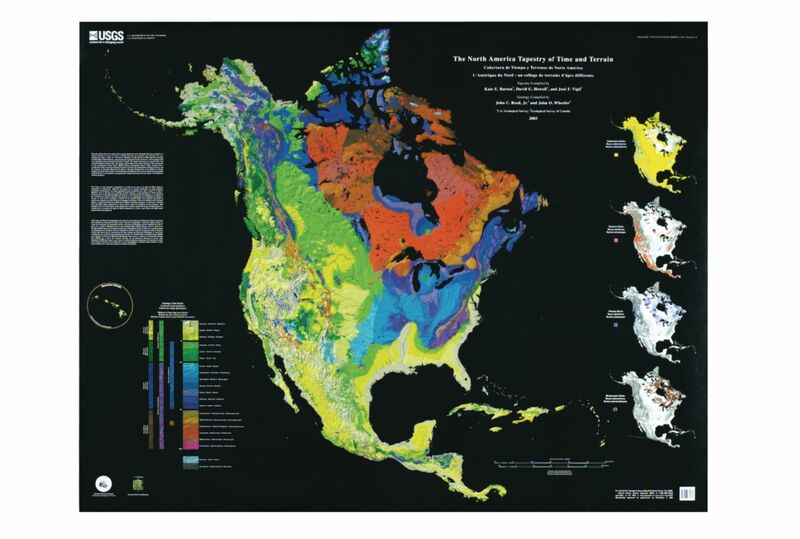 A collaboration among the U.S. Geological Survey, Geological Survey of Canada, and Mexican Consejo de Resursos Minerales, this map combines one-kilometer resolution digital elevation data with a new geologic map from the Decade of North American Geology. On the main part of the map, the ages of rocks depict the geological history of the continent, while inset maps show the distribution of the major rock types. The scale of the main part of the map is 1:8,000,000, using a Lambert Azimuthal Equal Area Projection. Size: 54" x 42".